The Poole BID Directors have been meeting regularly for a couple of months now and below you will find an updated list of who they are and who they represent. The Board currently meet every 2 weeks on Monday’s and the minutes are posted on the website and can be found by clicking here. It is a big commitment that they all volunteer for but it is also imperative for the Board to meet regularly at this stage while the BID gets up and running, once a BID manager is in post it is envisaged that meetings will be less frequent although still regular. As a reminder, the Board is to be made up of a maximum 16 Directors from within BID levy paying businesses. Each geographical area can have one representative and each sector can have 2 representatives. 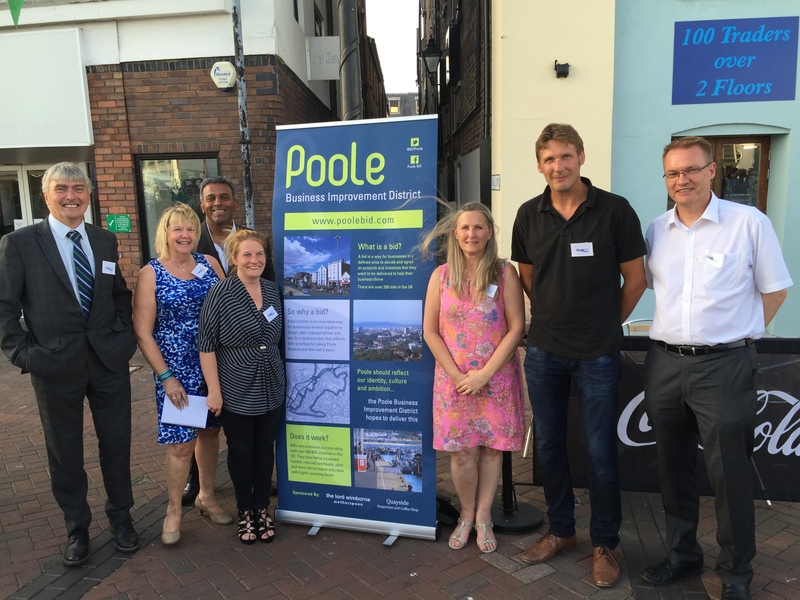 These sectors being multiple retail, independent retail, hospitality (one licensed, one non licensed), professional services and the Borough of Poole. In order to ensure a fair and even spread of representation there can be no more than 3 Directors from any geographical area.